​From M-129, head east on 22 Mile Road for approximately 2.5 miles. Turn left (north) onto Gray Road. Walk or drive along Gray road to bird this area. Walking along the road allows viewing access of most species. Numerous small pothole ponds are located to the east of the road. A short walk can allow access to view the ponds, however no paths are present and the ground is often wet. 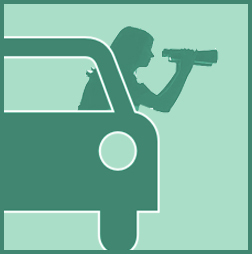 In late May through July birding access is from the road only. Ground nesting birds and sensitive waterfowl can easily be disturbed or harmed by individuals walking through the grasslands off the road, so please do not disrupt these species by walking through the fields. This area has had the highest recorded densities of breeding Le Conte’s Sparrows in the entire state. The Le Conte’s sparrow is a secretive species, but can be often heard and even seen directly adjacent to Gray Road just north of 22 mile road. Sedge Wren, Alder Flycatcher, Black-billed Cuckoo, Wilson’s Snipe, American Bittern, Bobolink, Common Yellowthroat, Clay-Colored Sparrow and Swamp Sparrow are all additional species found along Gray Road in spring through fall. Numerous duck species such as American Wigeon, Blue-winged Teal and Mallard nest in the pothole ponds found here. The pasture fields to the south of 22 Mile Road and Gray Road are annually home to breeding Sharp-tailed Grouse and Upland Sandpipers. Eastern Meadowlark, Northern Harrier and American Kestrel can also be found here. 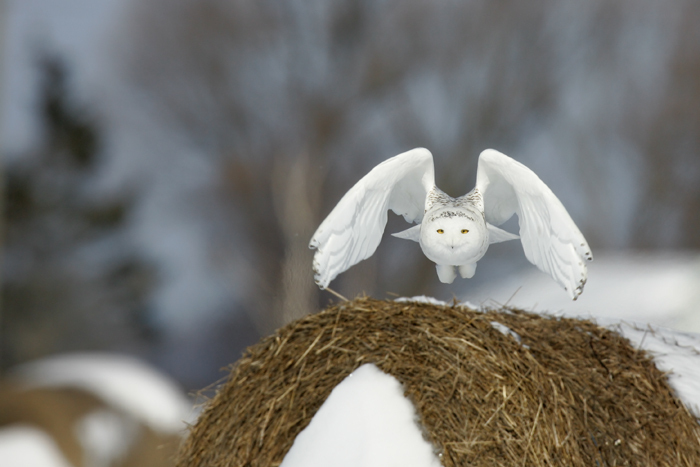 In the late fall owl species such as Short-eared Owl, Great-horned Owl and Snowy Owl have all been found here. Additional woodland warbler species can be found by heading north on Gray road until it takes a 90 degree turn east to pass through a small area of hardwoods (these hardwoods are private property so please bird only from the road). Here Chestnut-sided Warbler and Mourning Warbler often accompany Yellow-rumped, Black-throated Green and Blackburnian Warbler. 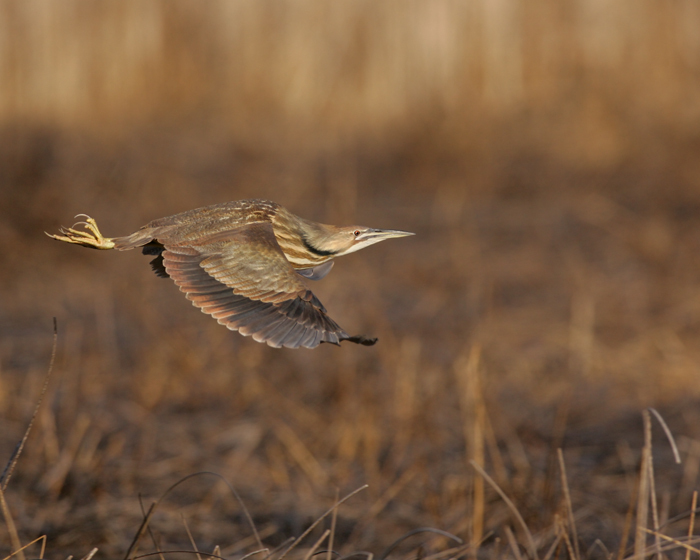 The diverse mix of grasslands, wetland and forests make this location a birders paradise! ​This area, now known as “the potholes” was once a farmstead back in the early 1900s. Through the efforts of a local sportsman club and the Michigan DNR the area was transformed to a pothole pond wetland complex through the creation of a number of small ponds. These ponds attract a large variety of breeding waterfowl. Possibly even more important than the ponds, the grasslands and wet meadows here attract numerous Le Conte’s sparrows and Sharp-tailed Grouse. The Eastern Upper Peninsula is the only location in Michigan that hosts a population of these Grouse large enough to allow a hunting season. The meadows, however, are not permanent features and without proper management woody shrubs and trees would encroach on the area and make the habitat unsuitable for these rare species. The DNR uses controlled burn methods on a 2-5 year cycle to burn portions of the potholes. While this may seem destructive, it actually maintains the habitat keeping out woody plant and ensuring that the grassland species found here can live on for generations to come.